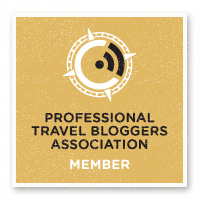 Visit Philadelphia doesn’t mean only setting out on an exciting journey into the United States history – to all intent and purposes born here on July 4th 1776 – and into the variegate artistic, social and cookery expressions of one among the most eclectic cities in the country. Visit Philadelphia, going beyond the Old City and the central area developing around Market Street, it means give oneself some time to discover the origins and the lifestyles of the different cultures populating it and understand the inevitable evolutions and interactions which made it – faithful to its origins – one among the most open-minded and welcoming cities in the country. 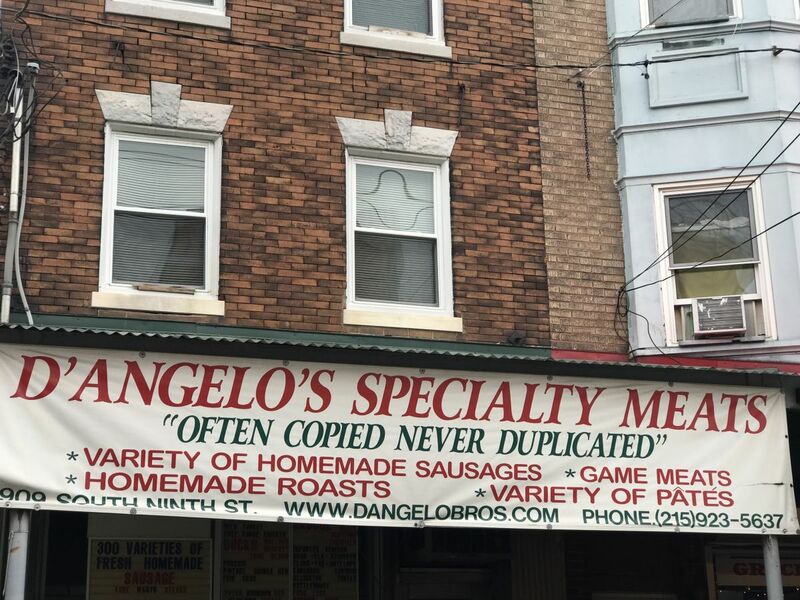 Like South Philly, since ever the Italian neighborhood. South Philly enter your heart. With its colors, its savors (so familiar), its contagious cheerfulness and its thousand stories. 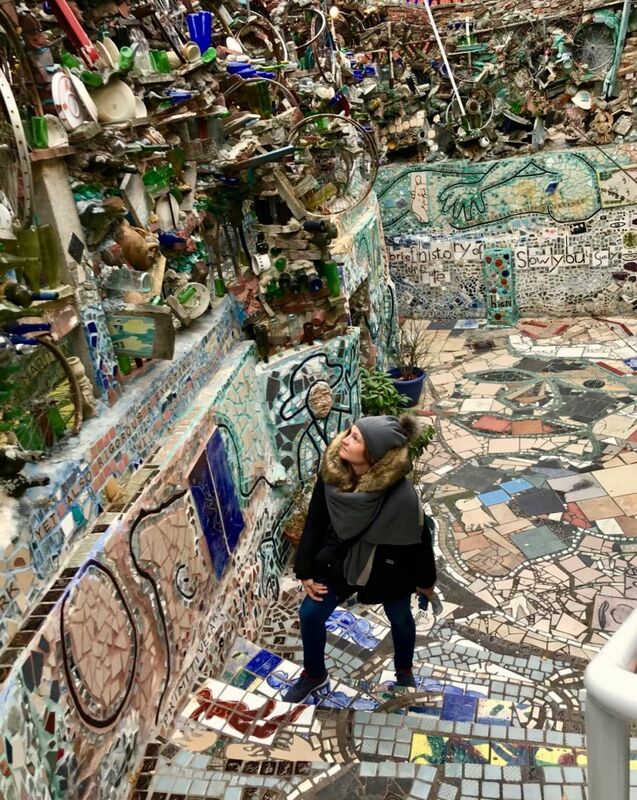 I reachd it from downtown walking few minutes with the aim to visit the innovative and eclectic artistic installation by Isaiah Zagar – the Philadelphia’s Magic Gardens – convinced to stay there a couple of hours max. But I ended up spending there a whole, wonderful day. 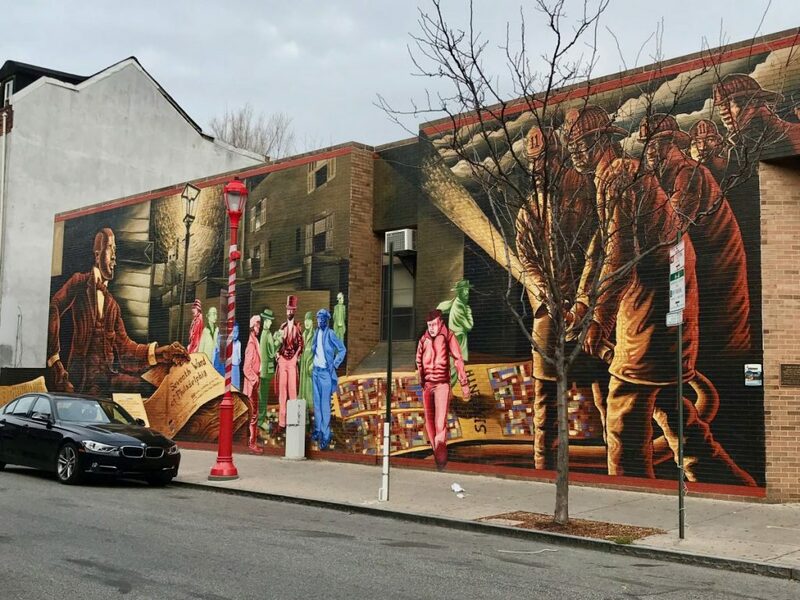 South Philly is a neighborhood of Philadelphia, a rectangle of land extending south-eastwards from the Schuylkill River as far as the Delaware River. 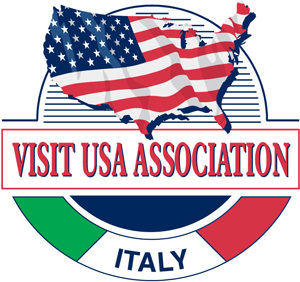 And since ever it’s the Italian people “home”, one among the greatest communities in the States, created starting from the first immigrations in the beginning of the 1800s. 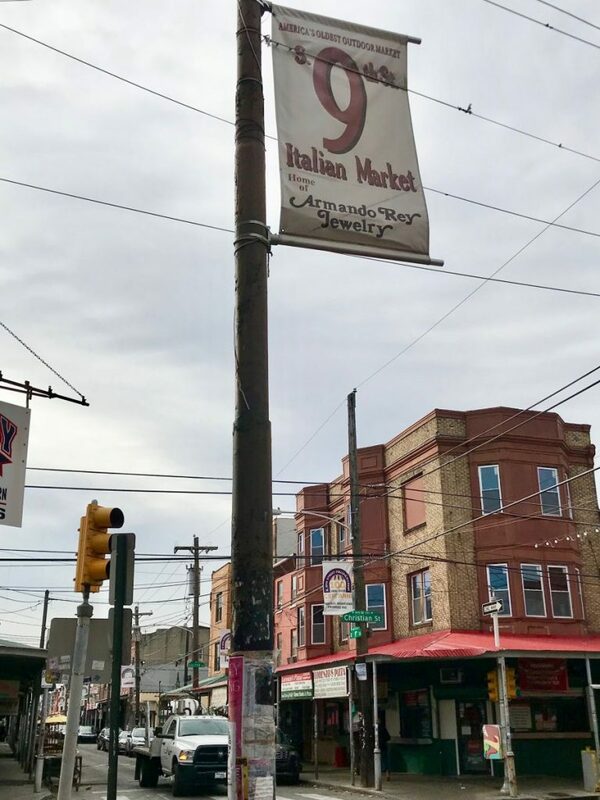 Walking through South Street – the main artery of South Philly – I met Elio, La Bella dolce Italia’s owner, who told me a bit of stories and gave me (besides a very good coffee) some tips about how to move. 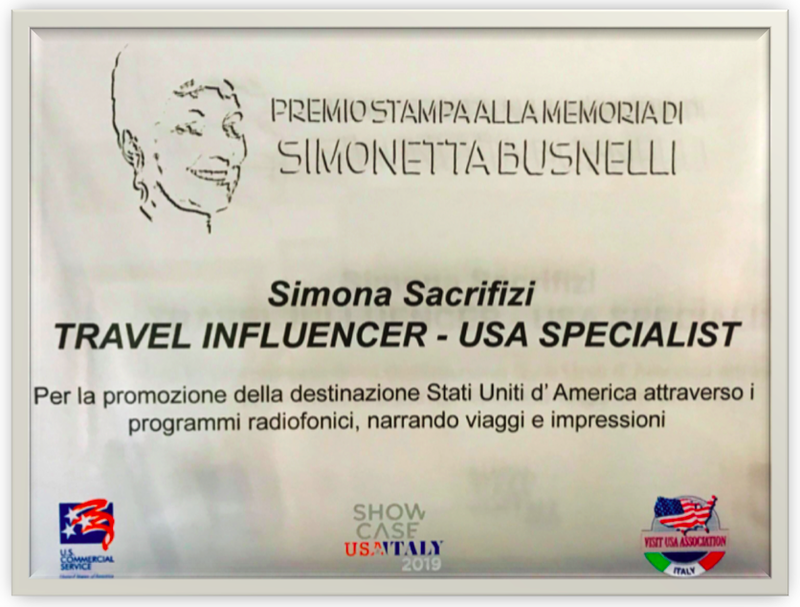 Then I met Eleonora, who has been living here for a year together with her husband and at last I met Nancy whose grandparents are Sicilians and despite being born in Philadelphia she’s Italian more than ever. 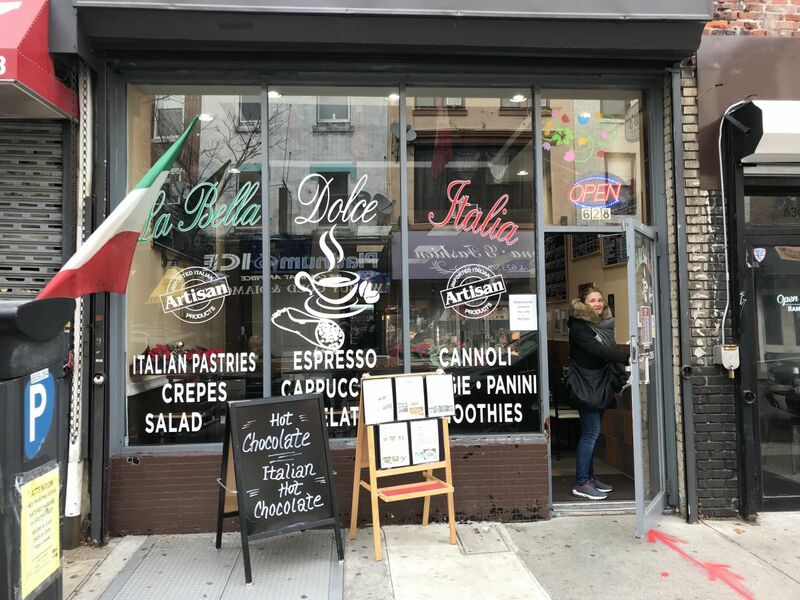 And I felt the enthusiasm and the homesickness, the bitterness and the satisfaction and – like it happened in New York for the very Italian Arthur Ave in the Bronx – it opened a world to me. So I went as far as the Italian Market. 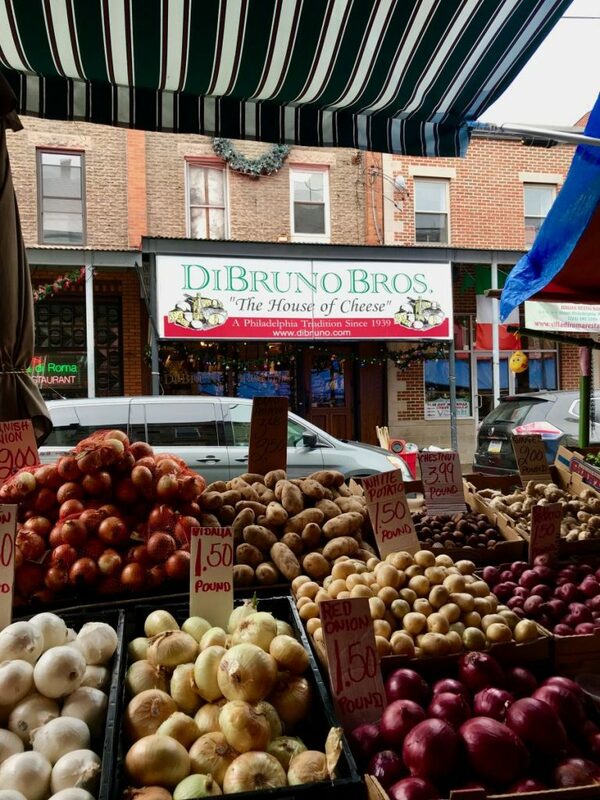 I walked among the fruit stalls and I tasted Italian cheese in two historic local delicatessen shops – Talluto’s and Da Druno – and I discovered a nice bookstore selling vintage vinyl and books that cannot be found. 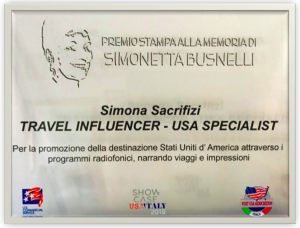 I entered the most ancient confectioner of the area (where the cake for Pope Francis during his visit in 2015 was prepared) and I ate puffs with ricotta and candied fruit and chocolate cookies neighbored by the smells of my childhood, the smells of things that in Italy (incredible but true) you find no more in the big cities, by now. 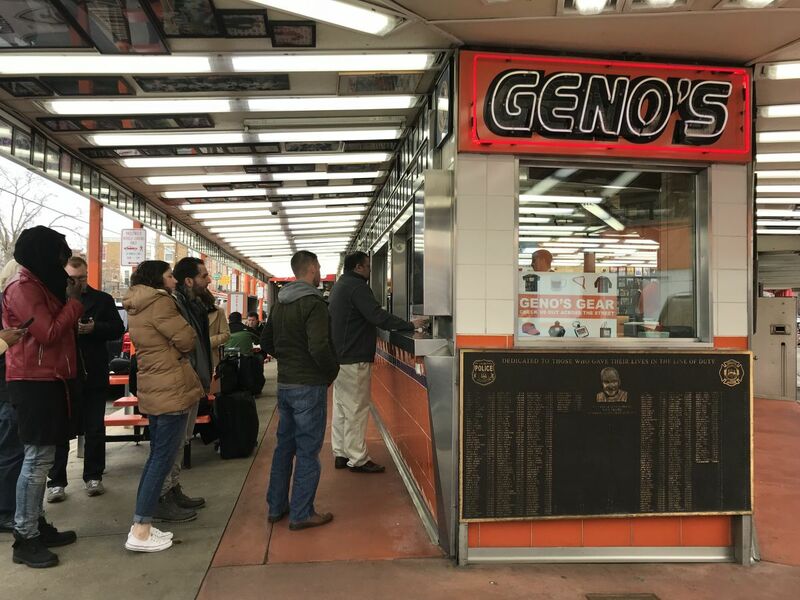 And at last – in honor to the best tradition of Philadelphia – I tasted one among the best Cheese steak in the city, at Geno’s Steaks. 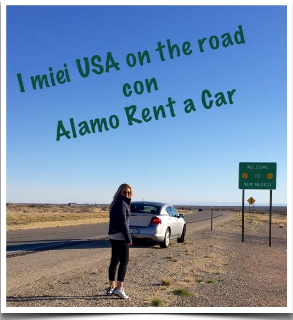 So, among a chance encounter, a “But are you Italian?! 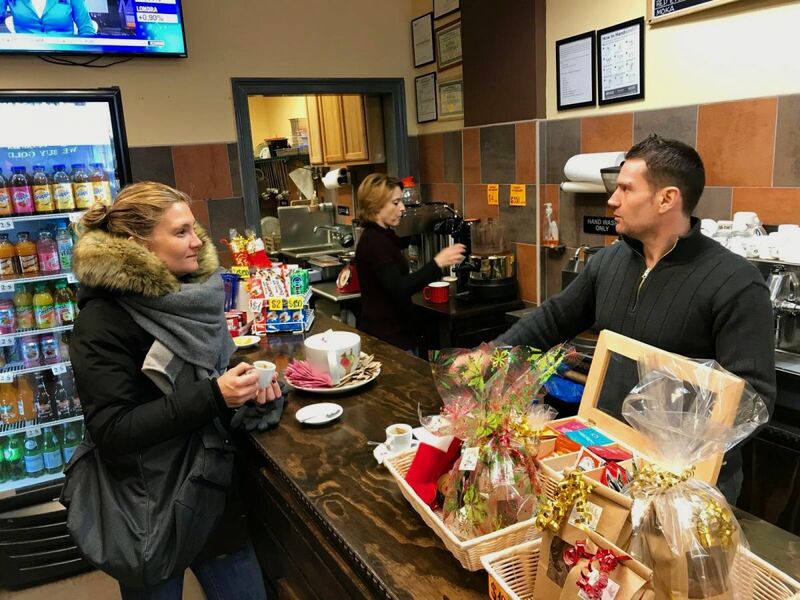 Me, too, I’m a Di Bella” and an indefinite number of coffee offered and returned, smiles and slaps on the back, I ended up feeling at home, even if far from it. And time literally flew by. You reach South Philly from downtown in few minutes. 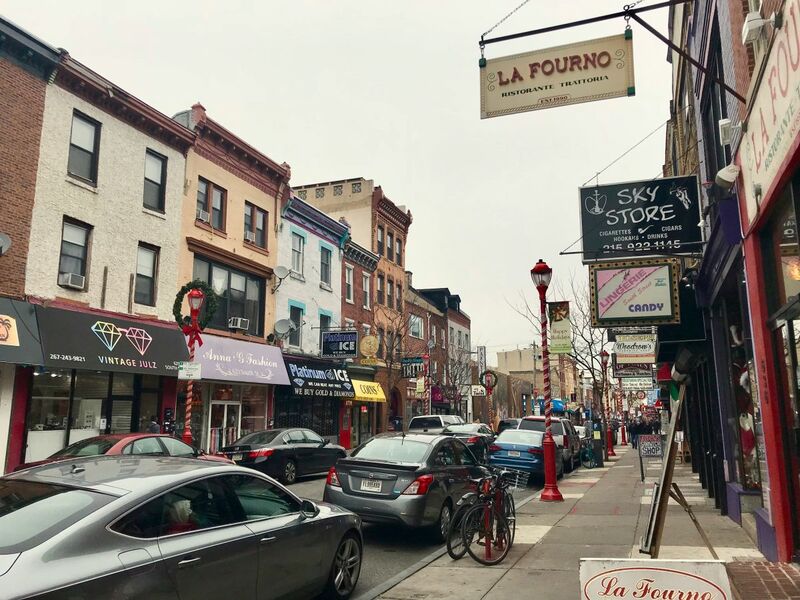 From the 4th as far as the 10th Street going southwards, the ancient stone and redbrick buildings – typical of the historic area – progressively leave space to more modern and colourful buildings and venues, as far as arriving to the lively and cheerful South Street, the gate to South Philly. 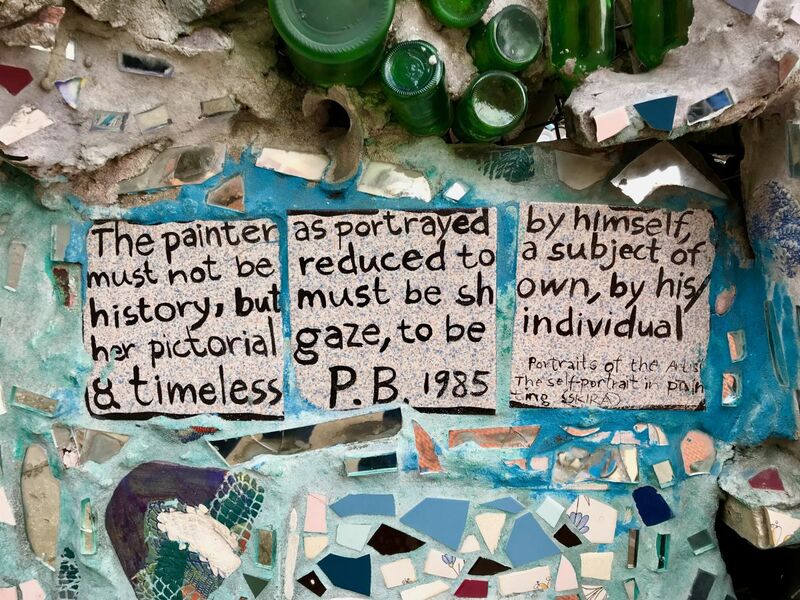 First stage which cannot be missed: the Philadelphia’s Magic Gardens. 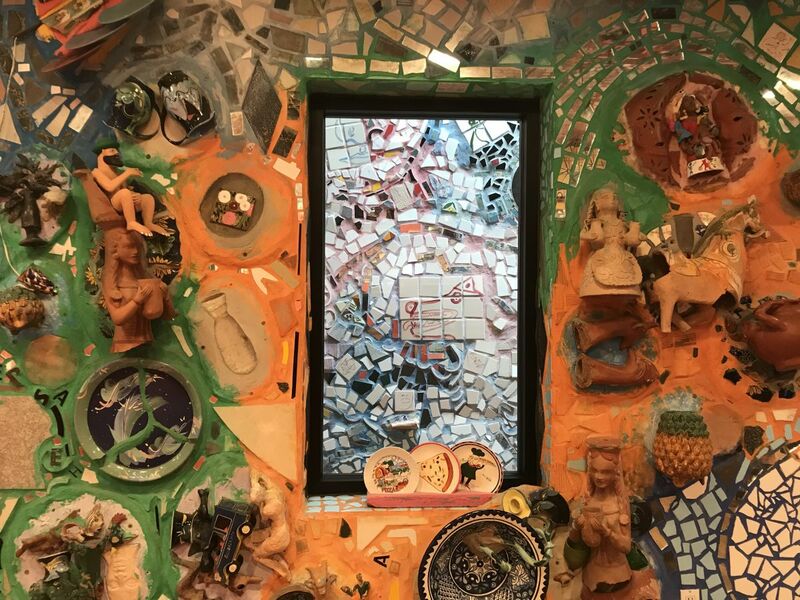 A magic garden, made of baked clay mosaics and mirrors’ fragments, recycled materials and odd works. 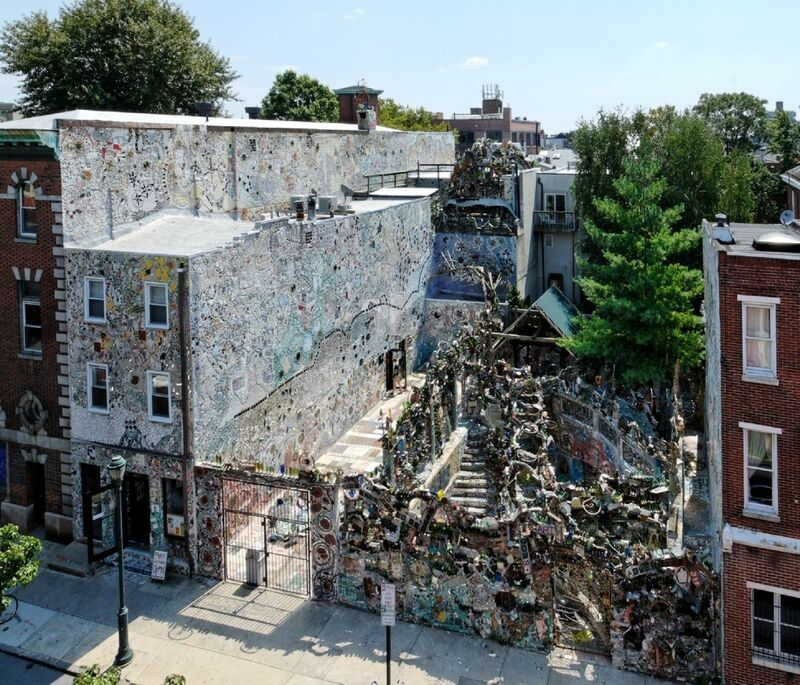 An original exhibition space – which influenced and involved over time the whole South Philly – the result of talent, passion and inventiveness of the artist Isaiah Zagar. Born in Philadelphia, grown up in Brooklyn and graduated in Painting and Graphics at the Pratt Institute of Art in New York, Isaiah – inspired by the pop art installations by Clarence Schmidt in Woodstock, Gaudì and Picasso – literally created his own figurative art, the result of travels, experiences and encounters around the world, first alone and then together with his wife Julia. 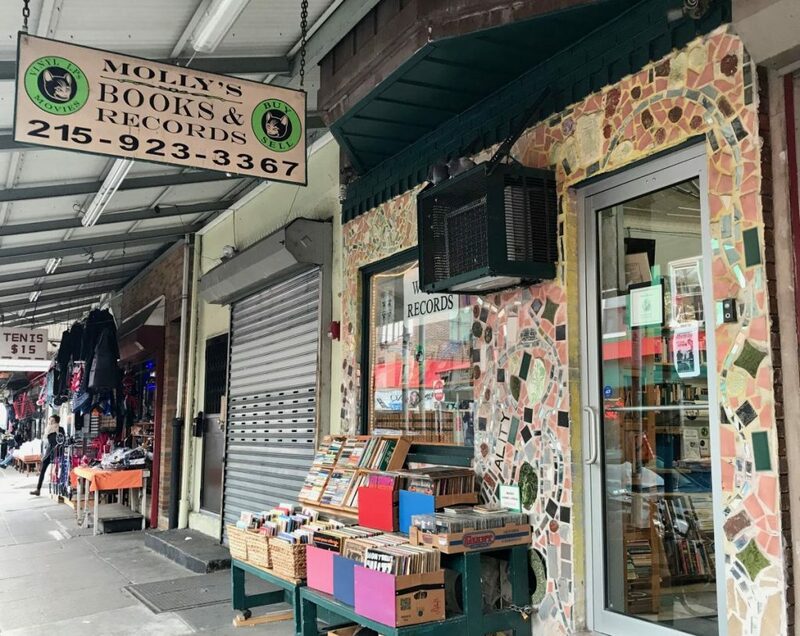 In the ‘60s, come back to Philadelphia, he decided to dedicate himself to re-qualify his neighborhood, South Philly, renewing abandoned buildings adding colorful mosaics on both private and public walls, turning the neighborhood into an artistic paradise and contributing successfully to the protest against the new highway which would have eliminated a good part of South Street. 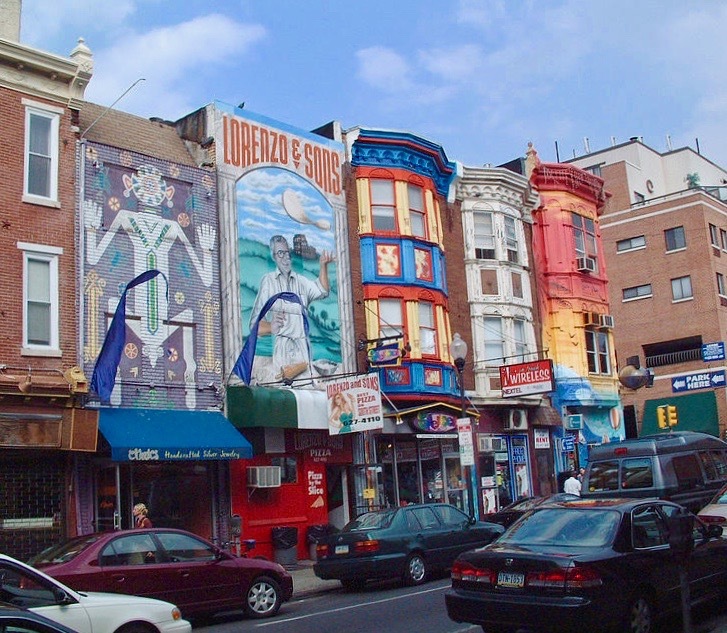 A downright artistic and civil renaissance which was named “South Street Renaissance”. 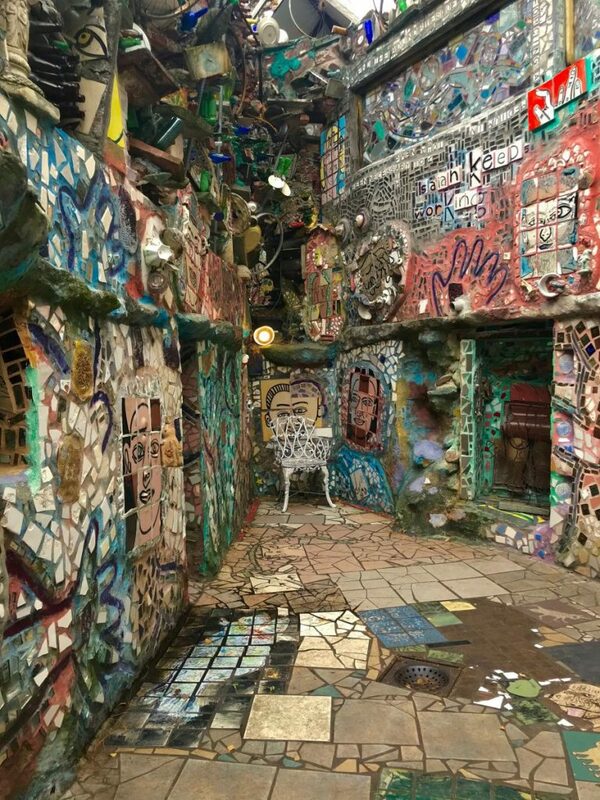 Today Zagar’s work is present in the permanent collections of numerous institutions, among them the Philadelphia Museum of Art and the Pennsylvania Academy of the Fine Arts. 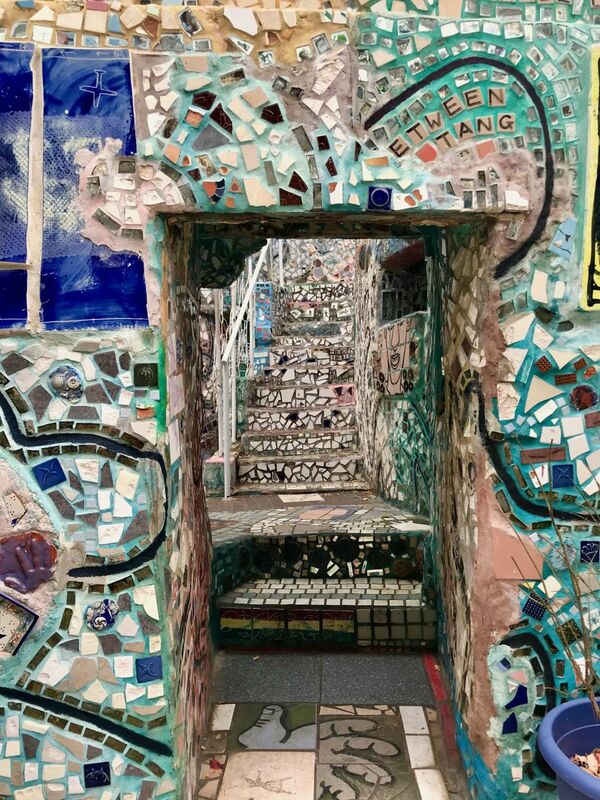 The Philadelphia’s Magic Gardens, the most exciting and complicated work by Isaiah, develop on half block starting from 1020, South Street. 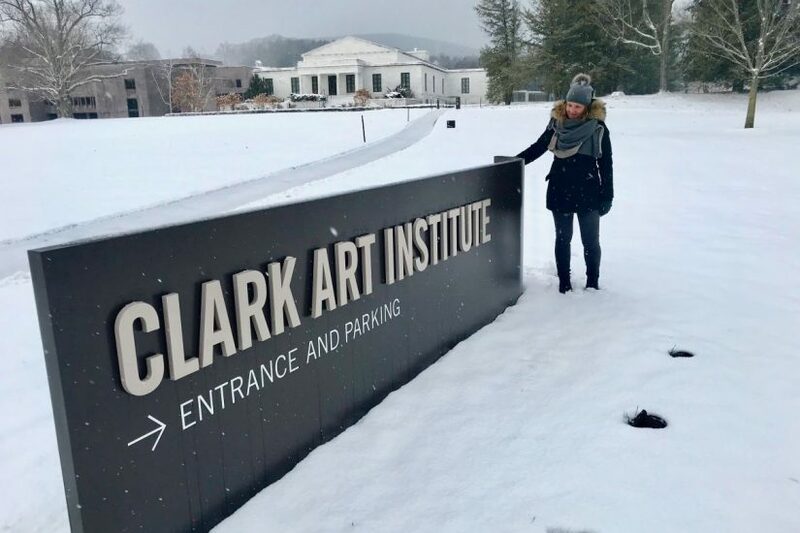 Try to imagine a sort of surprising fairy labyrinth where it’s easy getting lost following illusions and reflexes, rich in personal references recalling Isaiah’s life, family and art. A complex space created with no-conventional materials, recovered objects, bicycles’ wheels, glass bottles, handmade tiles and sparkling mirrors’ fragments. 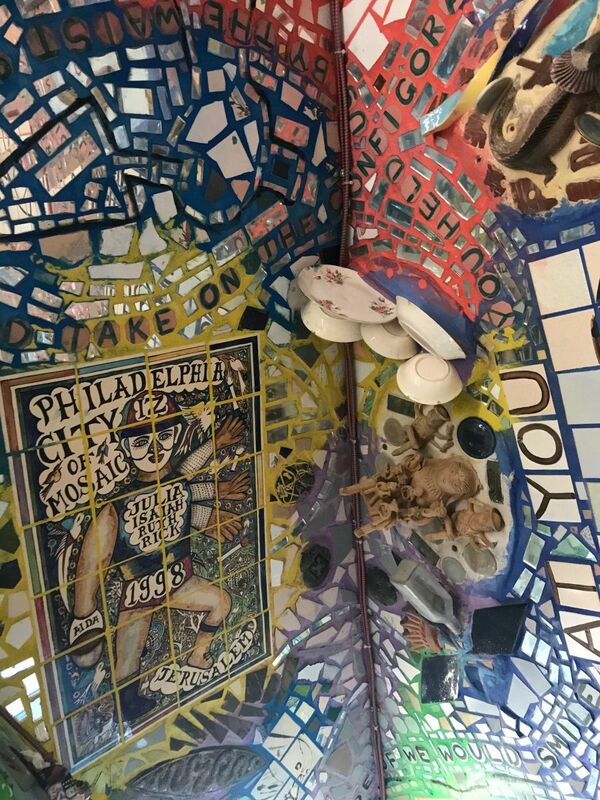 The Philadelphia’s Magic Gardens are opened Wednesday-Monday 11am-6pm. 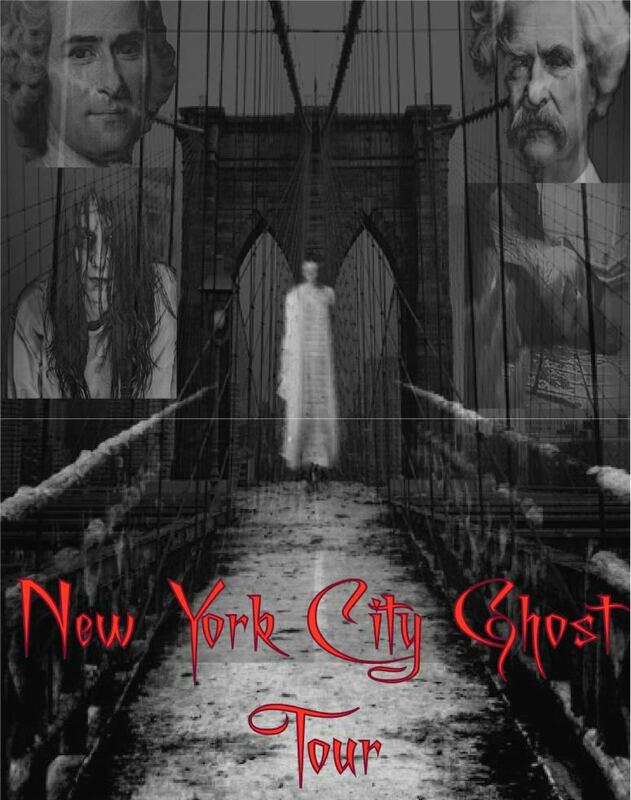 Find here further info about tickets and special expositions. Reckon at least an hour for the visit and at the end remember going upwards to the car parking opposite and being able to admire the entire installation in its whole. 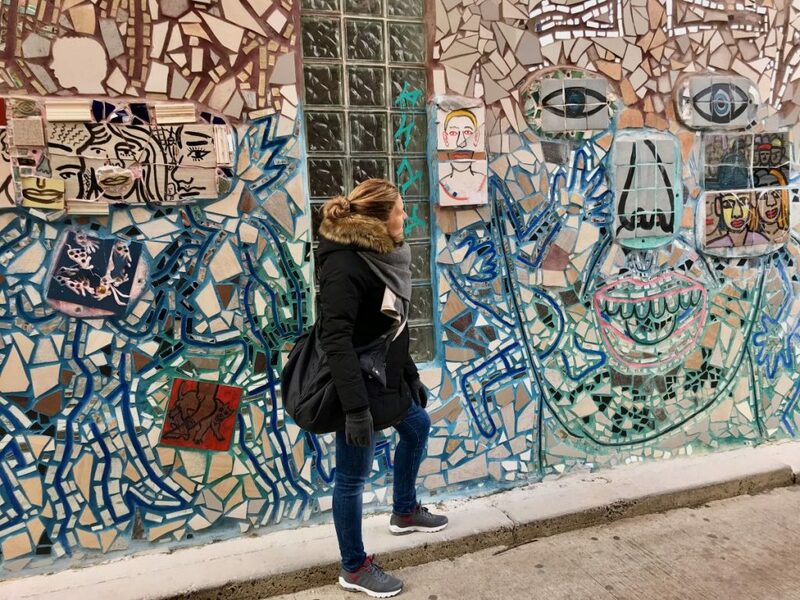 Going around through South Philly you could run into several Zagar’s works: don’t forget to pay attention to the houses’ entrances, the alleys’ walls and the stores’ façades. 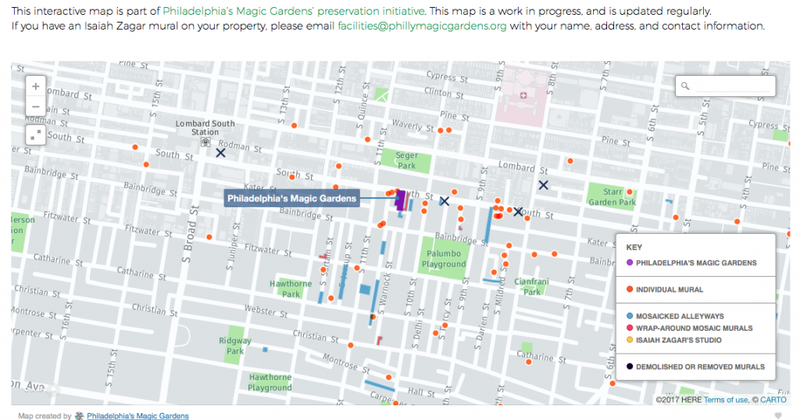 Down here there’s a useful map – click on the photo to see it better – to orientate yourselves and discover Isaiah’s murals, directly on the official Philadelphia’s Magic Garden’s website. 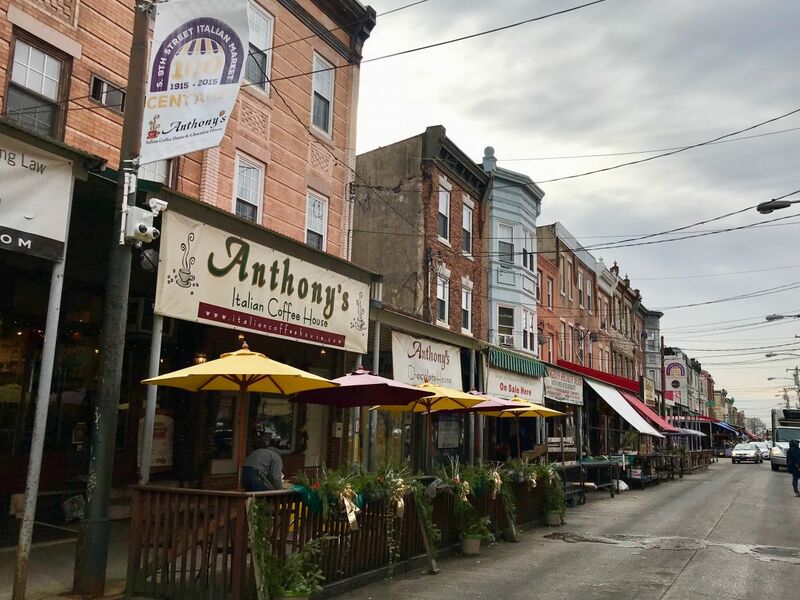 South Street smells of “home” and speaks – in all respects – Italian. 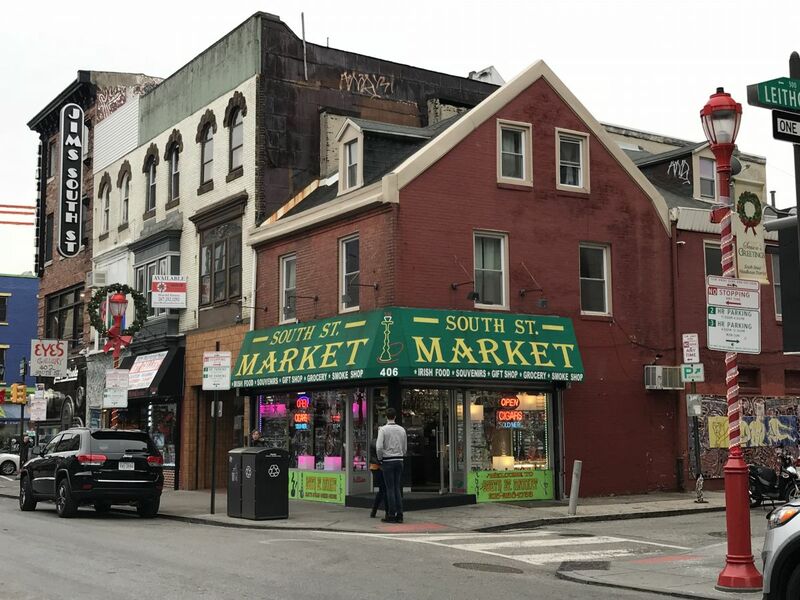 Before taking the 9th Street southwards to Italian Market, have a look at the workshops along the street – among them several Italian diners and confectioners – the murals, the diners and the vintage stores, many of them enriched outside right thanks to Isaiah Zagar’s mosaics. 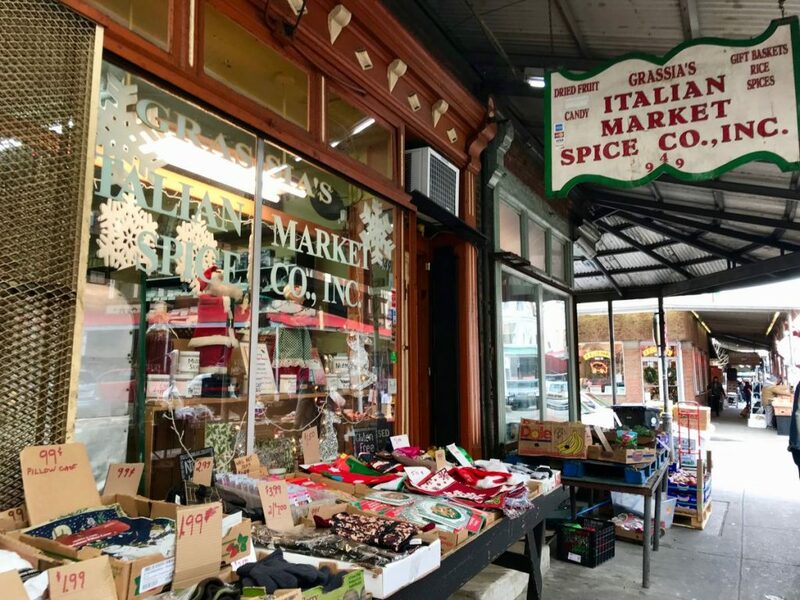 In few minutes on foot along the 9th Street you reach the crossroads with Christian Street, the access to the Italian Market! 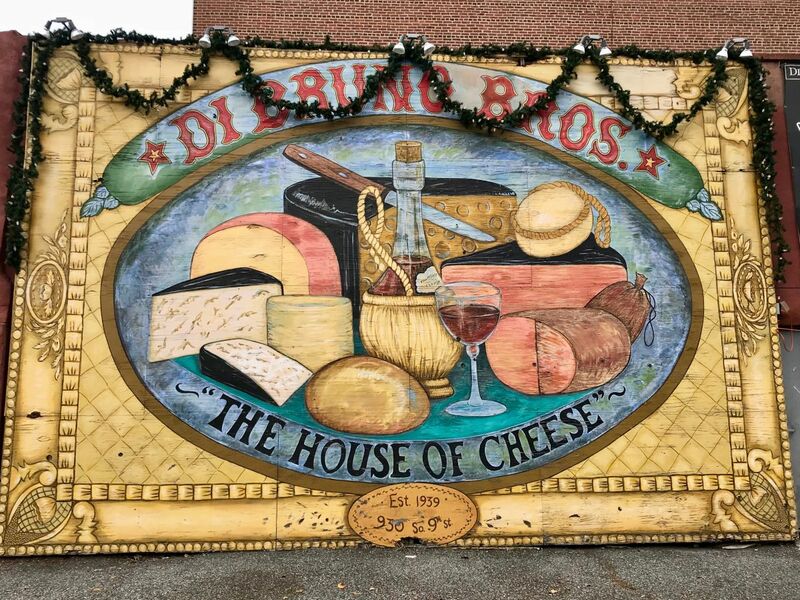 Buildings with bright colors, showy Italian writings indicating the most different commercial activities – butcher’s, delicatessen, flower’s, etc. – and a bowling in the background – mixed with the omnipresent Chinese community one, unfortunately – where recognizing accents and way of saying of our past. Because here it’s as if time has crystallized in the first half of the 1900s. Stopped in the traditions, savors, verbal expressions and the smells of an Italy which there is no more. 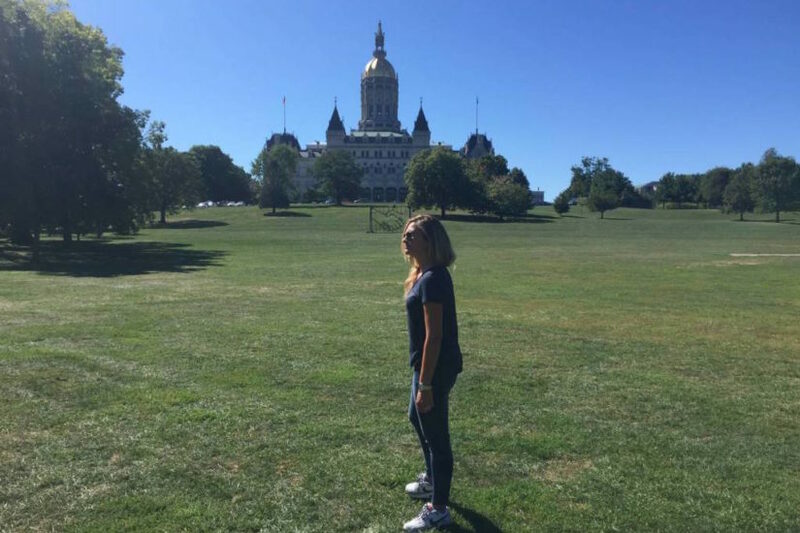 An experience absolutely to do in order to make your stay in Philadelphia even more complete and unforgettable. 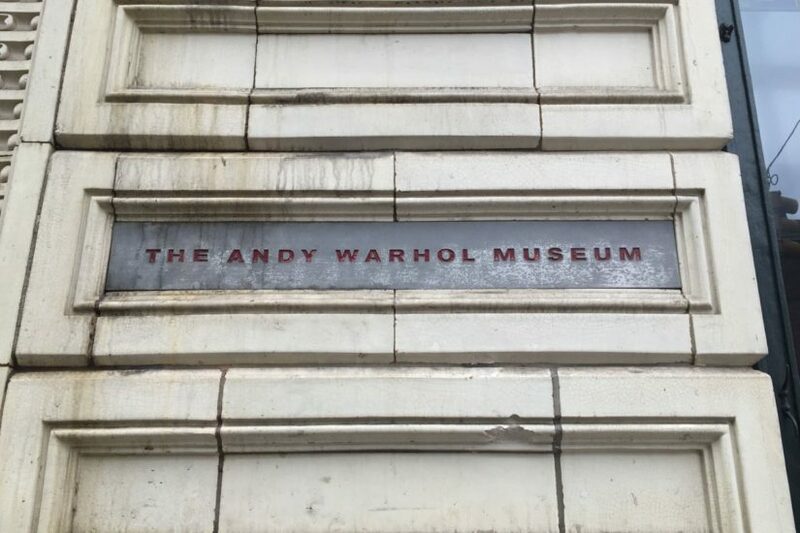 What are the stores and the venues not to miss? 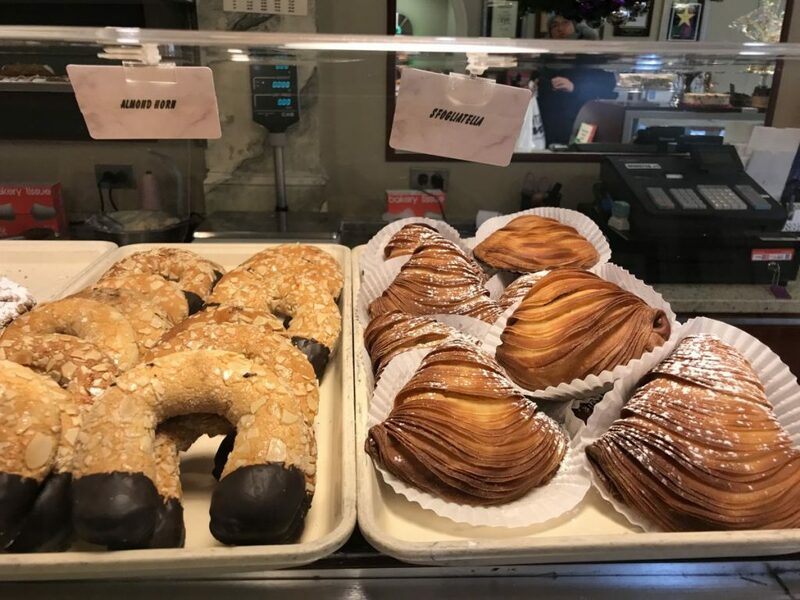 An old Italian pastry founded in 1904, taking in huge quantity puffs with ricotta and candied fruit, cassata and typical sweet things out of the oven. 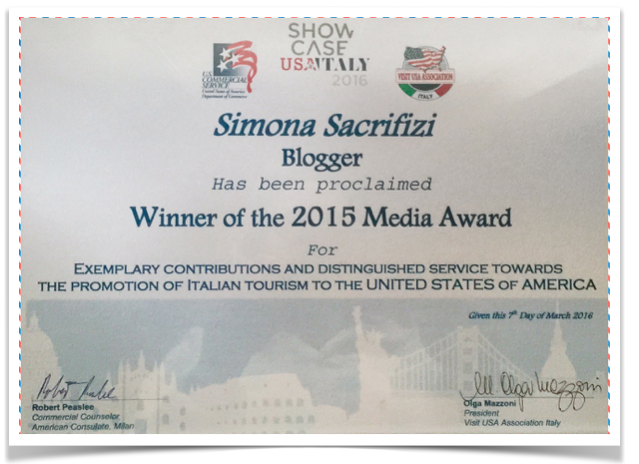 As I was writing before, it prepared the cake for Pope Francis during his visit in 2015. 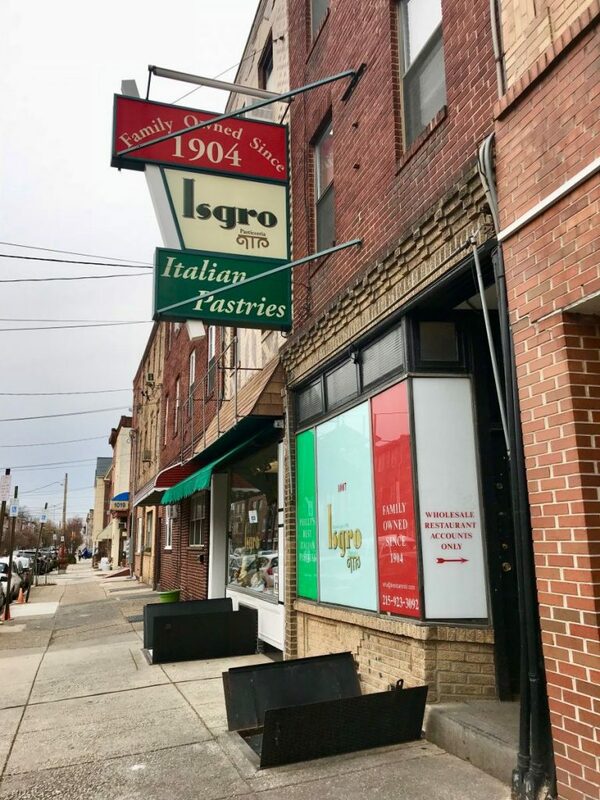 The perfect place where getting maps and souvenirs and ask for info about the evolution of the South Philly Italian community. Typical delicatessen shops giving the best local products (giant provolone and Parmesan cheese shapes included), where the Italian people living in the city do the shopping daily. 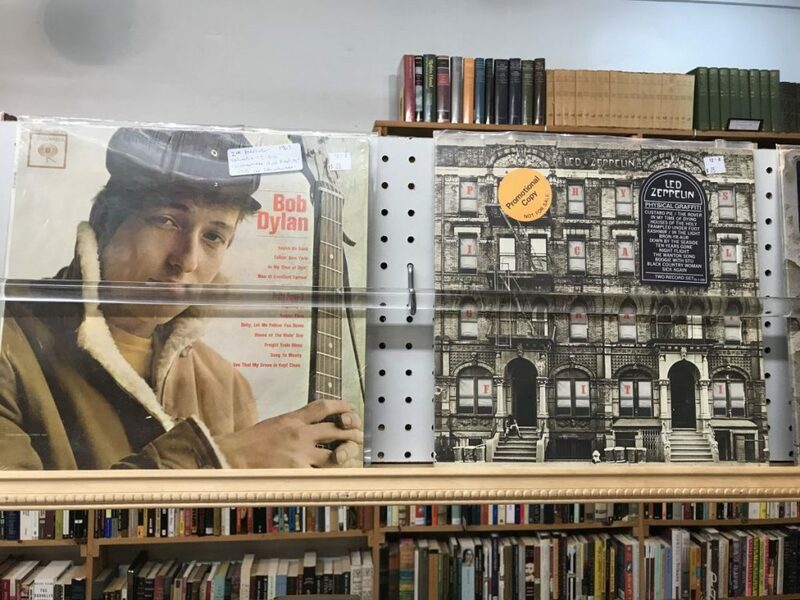 Vintage records sellers with adjoining bookstore where to loose the sense of time among vinyl which made the history of music and the first editions which cannot be found. Kistchen’s utensils store – many of them are strictly made in Italy – with adjoining chocolate store and café, where a very good (and surprisingly cheap) Espresso is served. First try and then trust! 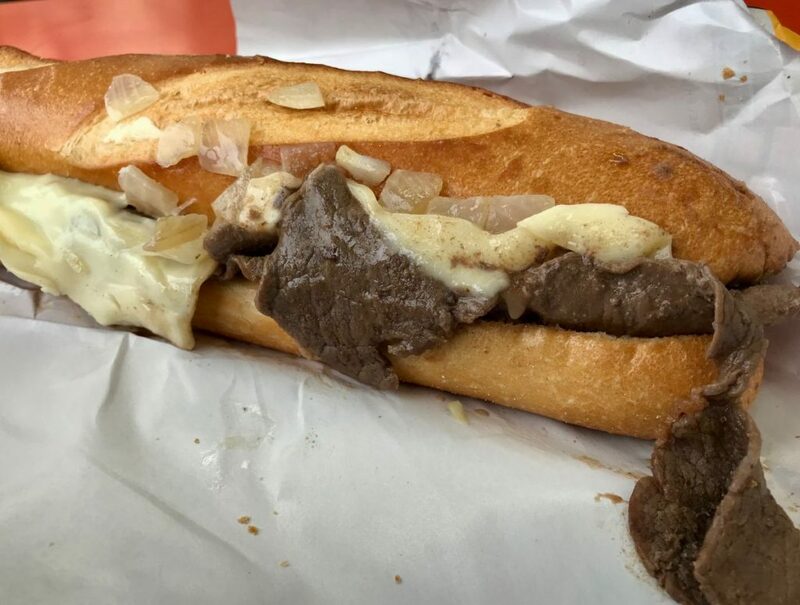 Recommended by some Italian residents in the area as one of the best cheese steak in the city, that one classic with beef, cheese and onions is probably one of the best ever eaten. If you have a look at the photos displayed in the window you’ll realize that it’s one among the favourite places crowded by actors and artists. 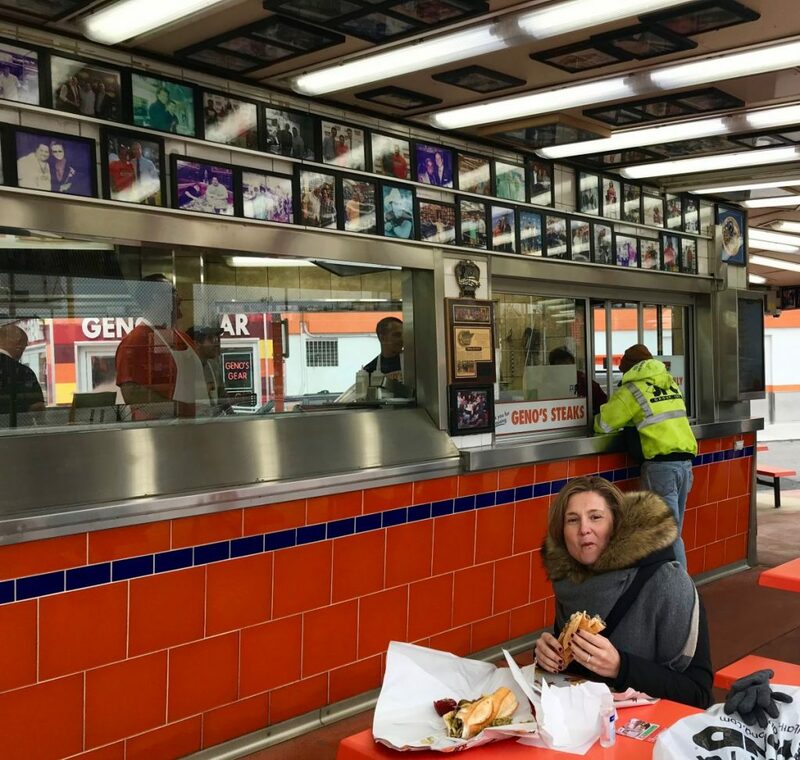 Among them, Sylvester Stallone: it seems he has lunch here every time he’s in the city, despite opposite there’s the more ancient (and rival about cheese steak) Pat’s King of Steaks, where some scenes of the first unforgettable Rocky were shot.